Greatest Common Factor (GCF) of numbers is the largest number that divides evenly into those numbers. Lowest Common Multiple (LCM) of numbers is the minimum number of which the numbers are factors. 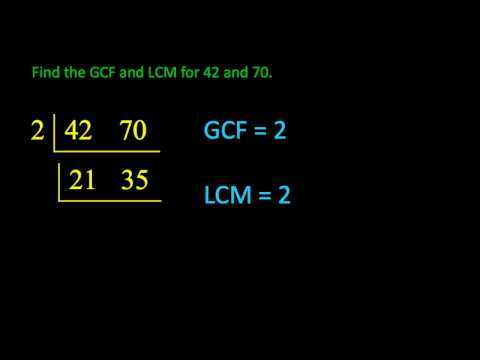 Practice gcf and lcm problems which are available in gcf and lcm worksheets. It will help you in solving lcm and gcf word problems which are practical applications in daily life. Use the Educational apps, Educational videos to become perfect in gcf and lcm word problems. The apps, sample questions, videos and worksheets listed below will help you learn GCF and LCM. What is GCF and LCM? 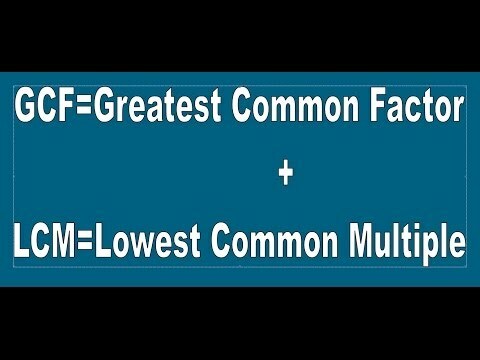 Greatest Common Factor (GCF) A common multiple is a number that is a multiple of two or more numbers. Common multiples of 2 and 3 are 0, 6, 12, 18, … The least common multiple (LCM) of two numbers is the smallest number (excluding zero) that is a multiple of both of the numbers. What is the difference between LCM and HCF? The highest common factor is found by multiplying all the factors which appear in both lists: So the HCF of 60 and 72 is 2 × 2 × 3 which is 12. The lowest common multiple is found by multiplying all the factors which appear in either list: So the LCM of 60 and 72 is 2 × 2 × 2 × 3 × 3 × 5 which is 360. How do you find the LCM of a number? Using the set of prime numbers from each set with the highest exponent value we take 22 * 31 * 51 = 60. Therefore LCM (12,30) = 60. What is the difference between the least common multiple and the greatest common factor? A common multiple is a number that is a multiple of two or more numbers. Common multiples of 2 and 3 are 0, 6, 12, 18, … The least common multiple (LCM) of two numbers is the smallest number (excluding zero) that is a multiple of both of the numbers.